For years, the news media has been looking to Silicon Valley as the epicenter of the new “sharing economy.” Maybe it should be looking to Toronto instead. Over the past few years, the Institute for a Resource Based Economy has been expanding the concept of collaborative consumption throughout the city, helping Ontarians reduce waste and make the most of of shared resources. The group’s main projects are the Toronto Tool Library and the Sharing Depot. 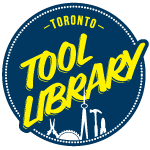 The Tool Library has four locations in the city, and members pay $50-100 per year to borrow tools for up to a week at a time. There are over 5,000 tools in all, for use on home and garden projects, bike repair, and more. The Sharing Depot has a similar membership model, but different inventory: members have access to camping gear, sports equipment, and games and toys. The Depot also has a workshop/makerspace where members can use table saws, a 3-D printer, and a laser cutter. The Depot has over 2,000 members and over 5,000 items. So far, it’s made almost 25,000 loans. The IBRC also hosts workshops and events for swapping goods, and the Tool Library is a pick-up location for FoodShare Toronto. Learn more about the Institute for a Resource Based Economy on their website, or go to LocalTools.org to see if there’s a Tool Library in a city near you.